This week, Your News to Know rounds up the latest news involving gold and the overall economy. 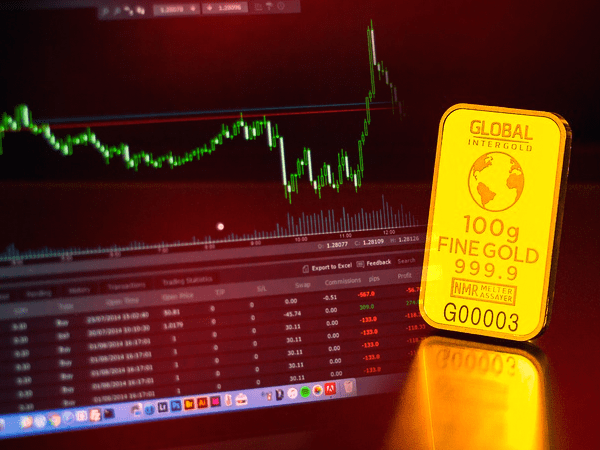 Stories include: Financial firm urges investors to buy gold and sell stocks, the only place for silver prices to go is up, and gold glimmers as global negative-yielding debt surges. Crescat Capital ranks as one of the best-performing funds of 2018, boasting a return of as much as 41% through one of its arms over the course of the year. The firm is no stranger to equities and has frequently and prominently included them as part of their strategy. But for 2019, Crescat’s strategists have all but lost their appetite for the stock market, reports Newsmax. Tavi Costa, a global macro analyst at the firm, spoke to Bloomberg about Crescat’s decision to move out of stocks and into gold. While many agree that a recession could hit the markets in 2020 or 2021, Costa and his firm thinks that trouble could be much closer. Crescat’s insider info shows that the stock market is facing the third bout of mass corporate selling since 2017, and Costa doesn’t believe equities can recover this time around. Crescat also lists deteriorating U.S. economic data and a severely distorted Treasury yield curve as further signs that a crisis is looming. Costa points out that the previous two such occurrences in the yield curve led to the bursting of bubbles in several asset classes, and he believes that the current stock bubble is on its last legs. With the potential for a recession to hit as early as this year, the fund will base much of its strategy for 2019 on buying gold and shorting stocks. According to a recent analysis by Bloomberg Intelligence, the stars are aligning for a major breakout in the silver market, writes Kitco. The Federal Reserve’s sudden policy reversal and growth forecast downgrade did much to boost the already-robust prices of precious metals. This, and investor concerns following the Fed’s extreme dovishness are likely to continue this trend. Yet Bloomberg’s senior commodity strategist Mike McGlone thinks that silver, in particular, could have the biggest gains in the coming months. As McGlone notes, silver has been lingering around several extremes, which points to a decisive jump in prices in the near future. One of those is the much talked-about gold/silver ratio, which remains at levels last seen in the early 1990s. The ratio currently sits at around 85, while most analysts agree that a level of around 65 should be considered normal. Given gold’s current prices, McGlone noted that a mean reversal of the ratio could bring silver prices to $20 an ounce. Likewise, McGlone said that silver’s low volatility represents another extreme that points to a breakout. The metal’s volatility is currently at its lowest level since 1993. “When commodities reach such extremes, up is typically the path of least resistance,” said the analyst. Along with general investor complacency, gold’s remarkable performance over the past months should provide additional support for silver. The two metals have traditionally moved in tandem, and gold’s comfort above key resistance levels leads McGlone to think it’s only a matter of time before silver catches up. To Forbes contributor Frank Holmes, there is little question that safe-haven assets are staging a comeback. The curious case of negative-yielding government bonds serves as a prime example of this, and also shows why gold could soon sweep bonds under the rug to become a peerless store of wealth. Holmes refers to a recent Twitter post by Lisa Abramowicz, a Bloomberg reporter who often covers fear-driven demand. In her post, Abramowicz noted that negative-yielding debt has risen to $9.2 trillion, a dizzying figure last seen in 2017. Mere days after her post, the pool of negative yields expanded further to reach $9.32 trillion. Abramowicz notes that the extreme risk aversion shown by global investors is a staggering sight during a time of supposed global recovery. The erosion of yields coupled with high demand for haven assets leads Holmes to think that wary investors who once favored bonds will soon make the switch to gold. In the case of the Bank of Japan, yields have already fallen into negative territory, which means that bond holders are actually paying interest to the government. Alarmingly enough, repeated reports suggest that BoJ officials view this as a non-issue. And while Germany’s bonds haven’t yet reached zero-yield territory, Holmes points out that the interest paid to holders of German bonds is close to negligible. The global fall in bond yields follows Treasuries’ own troubles, as the forecast for 10-year U.S. bonds continues to get slashed. To make matters worse, some have cautioned that a nearly-flat Treasury yield curve could be a recessionary concern. As Holmes notes, gold has always thrived during times of low to negative bond yields. Struggling global bonds in a time of high safe-haven demand are just one piece of a puzzle that points to exciting things for gold, both in the short and long term.